← ARGENT DREAMING – Out Today! 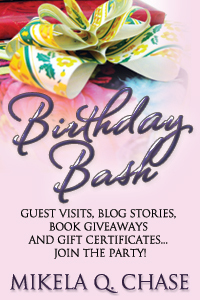 31 Responses to Amber Kell’s Birthday Bash! Oh boy! I think the King is going to need to stick to her side like glue in order to keep her out of trouble. I dont want what he wants but id like more story please. Im having severe withdrawal symptoms. Is it just me or does anyone else think it’s funny that everyone keeps calling Reah’s story Wandmaker. Really enjoying this story. What a neat touch with Rhea’s power and the cat shift. Love that. Just wait until the king finds out about this excursion! She has so many men…maybe her mothers suggestion of starting her own harem wasn’t a bad idea after all, lol. This is definitely getting good, I wonder what kind of trouble she will find…. 🙂 🙂 Hope everyone has a wonderful Thanks giving!!! Amber Happy Birthday Tomorrow!!! Happy Birthday and Thanksgiving tomorrow. Love the story. Want to know want the dragon man wants too. I wonder what he wants ? I can’t wait for tomarrows story. I so love this story! have fun tomorrow this was so good!!! Can’t wait for the next part! Happy Thanksgiving! I think that is going to be a loaded question? she might not want to phrase it quite like that. Lol i so love Rhea! Teven and a dragon and a pair of kitty’s…what more could she possible need? wow some girls have all the luck. Two cat shifters a king and a Dragon shifter hmmm wonder how that is gonna work. Well can’t wait to find out lol.